A joke long popular among disaffected employees and humorists in the power industry asks, "What is the difference between an electric utility and a group of Boy Scouts in the woods?" Answer: The Boy Scouts have adult supervision. While that cynical humor is untrue, at least in the opinion of most utility executive management, there is one element of the comparison that many would admit is valid: the Boy Scouts have a map and a compass. They know where they are, where they need to go, and what direction to take. In contrast, today, at least with regards to their transmission and distribution (T&D) infrastructures, many electric utilities do not. Beginning in the late 1980s until recently, most electric utilities retreated from traditional levels of capital investment in T&D infrastructure, accommodating ever-expanding levels of system demand by pushing load/capacity ratios higher while making only the minimum additions needed to connect new customers to their system (Exhibit 1). There were many reasons for this trend: uncertainty about deregulation and if and how it would eventually reward T&D investment, doubts about the nature of future Federal Energy Regulatory Commission and power pool requirements for ownership and operation, and a search for greater financial efficiency and higher return on equity. Inevitably, capacity ratios in utilities' T&D infrastructure (i.e., distribution substations and the transmission and subtransmission lines that feed them along with major distribution lines) rose throughout the industry (Exhibit 2), and local delivery systems and regional grids alike were pushed ever nearer to their absolute operating limits each summer. With the exception of some notable lapses in reliability and a few blackouts, the industry survived, largely because advancing technology in the form of online monitoring and improved control systems permitted utilities to trim operating margins significantly, partly because tighter and more focused operating procedures such as energized maintenance (working on lines and equipment while it is kept in service) extended availability of critical equipment, and partly because some T&D systems were, in fact, rather conservatively built up through the late 1980s. Today, those intertwined trends of reduced capital spending and ever-increasing loading of equipment and lines have ended, as electric utilities across the industry realize that their T&D systems are truly at their limit. Technology that works well has been used. Operation is tight and focused 8,760 hours a year. Contingency margins are small or nonexistent. In spite of these gains, peak demand and customer count continue to grow, and existing facilities are growing older and, in some cases, deteriorating in condition: new infrastructure is needed and, in many cases, needed soon. H. Lee Willis is a Senior Vice President and Executive Advisor at Quanta Technology. 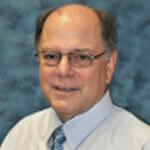 He has more than 35 years of electric T&D systems planning and engineering experience.